An unforgettable 45-minute journey aboard an Atlantis 48-passenger submarine, as featured in National Geographic television specials, where guests explore a 25-acre natural coral reef and its marine inhabitants! 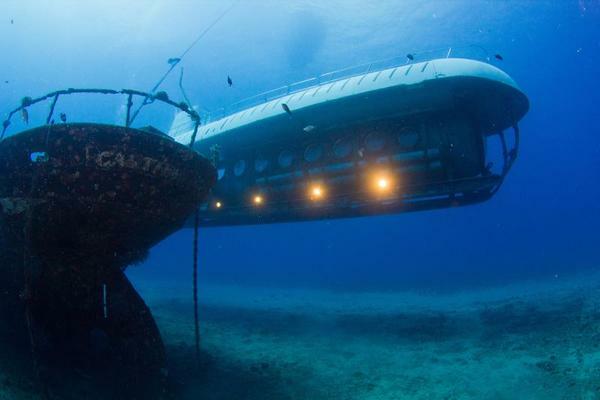 The Atlantis submarine dive is one of the most popular tours in Kona. A new adventure awaits you at depths up to 100 feet! Enjoy the view in air-conditioned comfort and safety. Guests will discover an 18,000-year-old, 25-acre fringing coral reef, which boasts a vibrant ecosystem. Passengers view coral formations and tropical fish. Advanced reservations for this tour are highly recommended. Treat yourself to Kona’s most beautiful and captivating scenery, habitats, and isolated treasures. You’ll descend 100 feet into another version of paradise — one hidden even from the people of Hawaii for centuries. 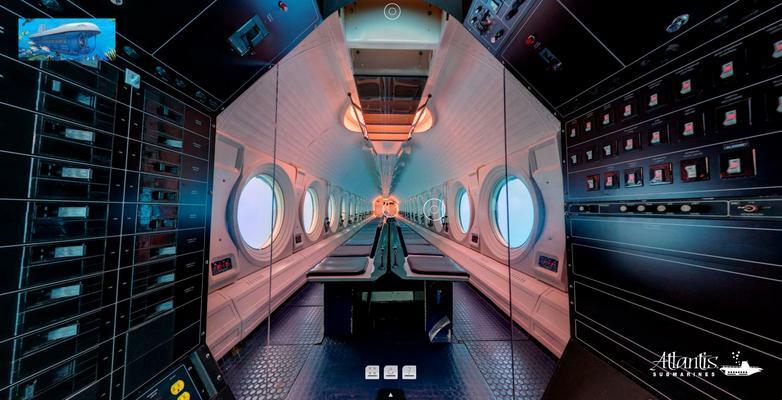 Atlantis Kona offers a journey aboard a 48-passenger submarine. Board the Malama Kai shuttle boat for transfer to our submarine. Actual underwater tour time is 45 minutes. Shuttle boat ride from the pier to the submarine site plus transfer is 5 minutes each way. Children MUST be a minimum of 36″ in height to ride the submarine. Each guest is required to independently navigate a nearly vertical 10-step ladder into and out of the submarine. Food and beverages will not be provided on this tour. All tours are in English. Headset providing narrations in Japanese, Korean, Mandarin and Spanish are available upon request at no additional cost. Allow our Submarines to show you the other 96% of Kona you can’t see any other way. Treat yourself to Kona’s most beautiful and captivating scenery, habitats, and isolated treasures. You’ll descend 100 feet into another version of paradise — one hidden even from the people of Hawaii for centuries. 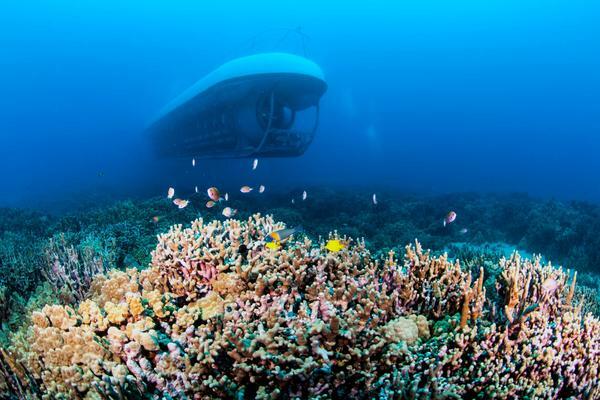 Atlantis Kona offers a journey aboard a 48-passenger submarine. Where is Atlantis Submarine located in Kona?